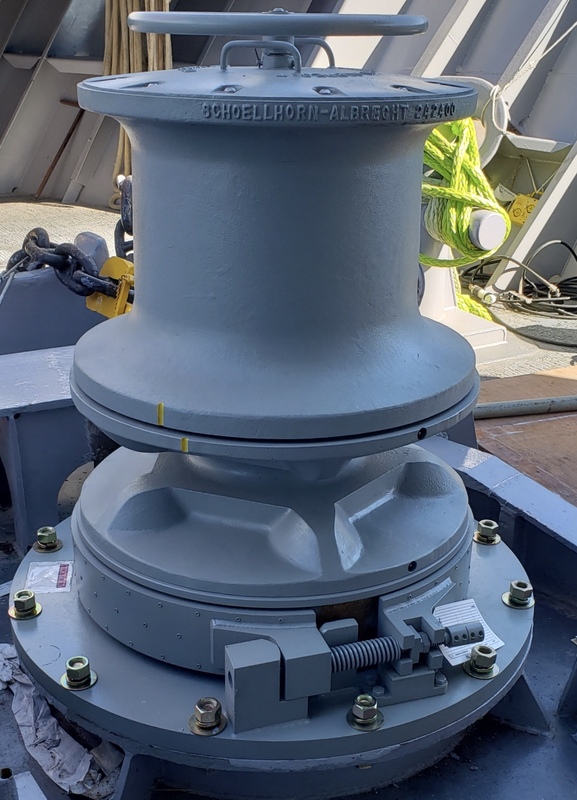 Both the Anchor Windlass and HPU were retrofit replacements and had to be designed iaw ABS requirements and engineered to fit into space constraints from the older units. The bolt patterns, and space allocations were taken into account early on to allow for ease of installation. The Anchor Windlasses are driven by a dedicated hydraulic power unit [HPU] and hydraulic control circuit. Each Anchor Windlass was fabricated with a cast steel wildcat suitable for 2” anchor chain, a manual band-brake, a wildcat clutch, a Ø24” warping head (capstan) for mooring lines, and chain stripper. The units contain a 30HP axial piston hydraulic motor which provides a continuous chain pull of 27,500 lbs. at 20 feet per minute. The warping head (capstan) delivers 29,750 lbs. of line pull at a line speed of 18 feet per minute. 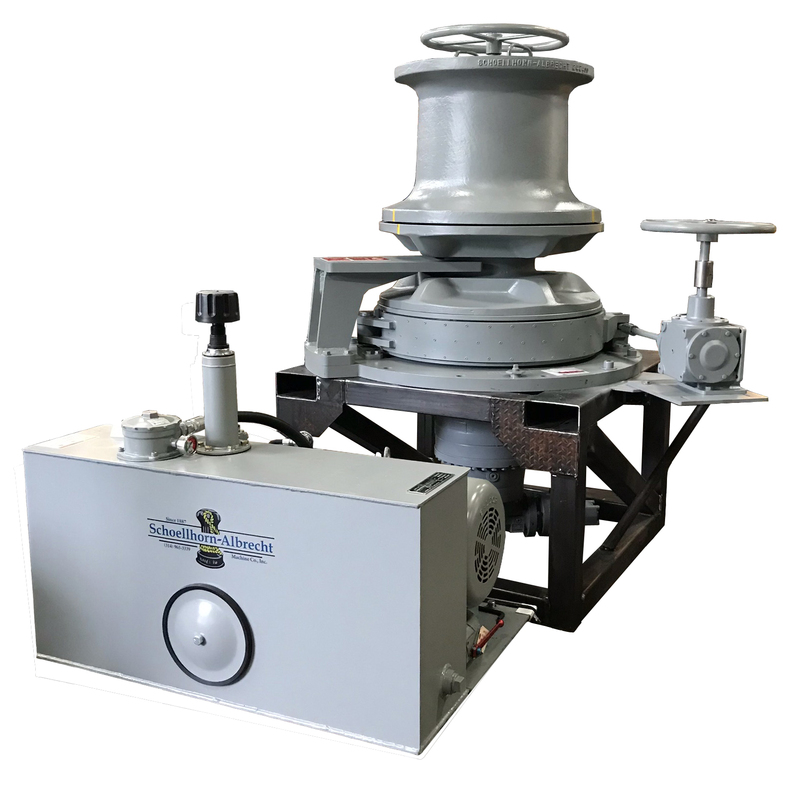 The hydraulic power unit (HPU) for each windlass powers the vertical anchor windlass/capstan with a 30HP electric motor at 1,800 RPM. The HPU is controlled remotely with electric over hydraulic push button controls allowing for variable speed of the windlasses from 0 FPM to a Maximum of 20 FPM. Each HPU has the ability to be started locally or remotely, depending on the need by the crew to do maintenance or use it for anchoring/mooring, respectively. The HPUs were fabricated with a custom 60 gallon reservoir, and a bolt together skid which allowed for the unit to fit through a 30” square hatch. The Anchor Windlasses were tested and inspected by ABS before delivery to the M/V Narragansett.